As work continues to bring the epic fantasy world of AVATAR to life at Disney Parks, filmmaker James Cameron and his Lightstorm Entertainment producing partner Jon Landau explored Disney’s Animal Kingdom yesterday with Tom Staggs, Chairman of Walt Disney Parks and Resorts, and Imagineer Joe Rohde. Cameron and Landau are touring the Walt Disney World Resort this week as part of the creative partnership announced in September between Walt Disney Parks and Resorts, Fox Filmed Entertainment and Lightstorm Entertainment. Construction of the first AVATAR-themed land is expected to begin at Disney’s Animal Kingdom by 2013. Along with their team at Lightstorm Entertainment, Cameron and Landau are serving as creative consultants on the project, working side-by-side with Imagineers to dream up groundbreaking experiences that will take guests deep into the worlds of AVATAR like never imagined. I’m confident that Joe Rohde and company can come up with something high-quality and entertaining, regardless of the branding behind it all. Dinosaur was not the most popular movie (many people don’t even know the ride is based on a Disney movie), yet the ride itself has a strong following and is highly enjoyable. One issue for me with this new Avatar land is how its conservation message fits into the rest of the park. DAK and Animal Programs are both very strongly in support of the view that industry and the environment can not – and should not – be enemies; they have to work together, hand-in-hand to create a responsibly sustainable future. I think the Walt Disney Company does a good job balancing it’s expanding offerings with finding ways to reduce its environmental footprint, and for the guests, DAK is an excellent poster child of this admirable philosophy. The movie Avatar, however, contains violent warfare and hatred between the natives and the humans, and those negative vibes never get resolved. That really doesn’t sound like the responsible stewardship that Disney and the modern zoo world are trying to convey. Maybe in the sequels we’ll see how human industry and Na’vi culture learn to coexist together, but if not, I don’t know if this is the best fit inside Animal Kingdom. Remember Beastly Kingdom? Disney’s Animal Kingdom was originally supposed to feature an area themed around imaginary creatures, like the dragon in DAK’s original logo. There was always an intention to include fantasy amid the dinosaurs and living animals. Sounds like the Avatar themed area will take the place of that long-put-off section. I think this is a great fit…and certainly look forward to seeing and experiencing what this incredibly talented team will be creating over the next several years. Can’t wait until the countdown to Pandora begins also! I think I may be the only person in this “world” that did not see this movie. I am excited that they are expanding AK with something more “different” but I do not see what all of the fuss is about…. I guess I’ll just have to see the movie. I’m still a little nervous about this.. but Joe Rohde has a good track record of turning something that’s not ostensibly Disney into the classic Disney experience (Animal Kingdom, Aulani…), so now I’m interested to see how it turns out. Do you think that they “Rohde” Expedition Everest? Count me among the minority who didn’t like the movie. This is a huge mistake on Disney’s part. In 3 to 4 years, people will wonder what the fuss was about. Danielle, I think they are on the Wild African Trek and yes every one can do it. It came out a few months ago! Its really neat! Danielle- Yes, Guests can experience AK in a close up way. Its called Wild Africa Trek, a walking tour through the Kilimanjaro Safari area. Check out the Disney Blog from October 15, 2010. As for concerns about Pandora land, I too am not thrilled about the Avatar movie itself but I am looking forward to the Disney interpretation. The imaginative Avatar creatures fit well with one of the original concepts for AK- the beastly kingdom. Also, one of the Avatar themes- caring for the earth- is entirely consistent with that of AK. So while I may not see Avatar sequels 2 and 3, I definitely plan to enjoy the new Avatar area in AK when it comes on line in 2017??! Danielle – They are on the Wild Africa Trek tour which started in January. You can learn more under Tours and Special Experiences on the DisneyWorld.com site I am very excited to take the tour on my next trip! @Danielle, in the second picture they are on the Wild Africa Trek at the Animal Kingdom. My family and I went on this tour last week, and I would highly recommend it! The tour is open to all guests for an additional fee. Quite expensive, but well worth it. Did you show him the awesome Disco Yeti? The Avatar idea is good, I like it. I just think it’s the wrong park for it. I love Disney and all things Disney, this is the first (and hopefully only) time that I’m just a little disappointed. I’ll say here what I’ve said about this subject at other message boards. It doesn’t matter how one feels about the movie itself, this will be an incredible experience. The planet Pandora was such a lush, detailed, alien world that will make a perfect theme park environment. Also, with James Cameron involved you can believe that there will be an insane amount of detail. This will be something to see. I see they are wearing a harness in the bottom photo, does anyone know if that is an experience that guests can enjoy as well or was that strictly a cast member experience? 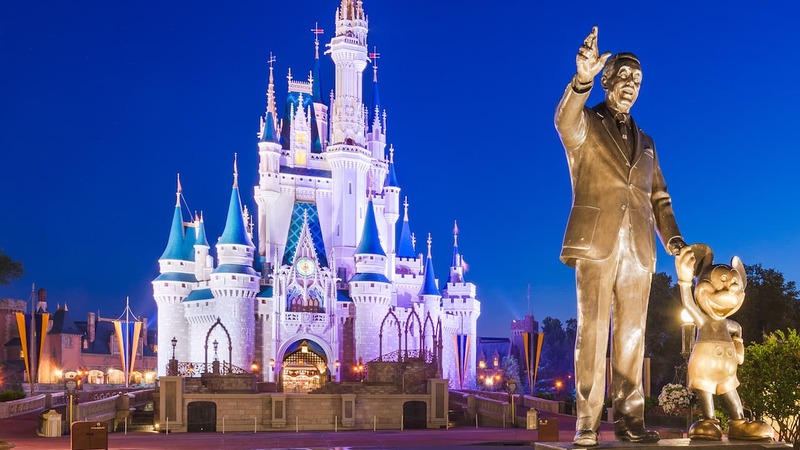 When i saw this i got all giddy and started laughing with joy and then i started crying with sadness that I wasn’t there……..you know you love disney when……………………………. Joe Rohde is an amazing Imagineer. I really, really hope he is involved with this project. I really hope this is a project we can enjoy without being familiar with the movie. I love the Indiana Jones Adventure at Disneyland, but the Indiana Jones movies aren’t really for me. Disney took the Indiana Jones characters and basic idea and made a very successful attraction around it, rather than just a ride based more literally on one of the movies. I hope the general idea for the Avatar attraction(s) will be some new and not dependent on the movie. I’m just not sure that something as big as a whole land based on a non-Disney movie fits with Animal Kingdom’s Africa and Asia. I cant wait for this area to open. I wonder if James Cameron has a choice of locations at Animal Kingdom? This is awesome that he is actually going to the parks. Hopefully this will become a recurring thing. Once again though my concern is over the scope of the project. Not even Star Wars that has stood the test of time has a whole land dedicated to itself. 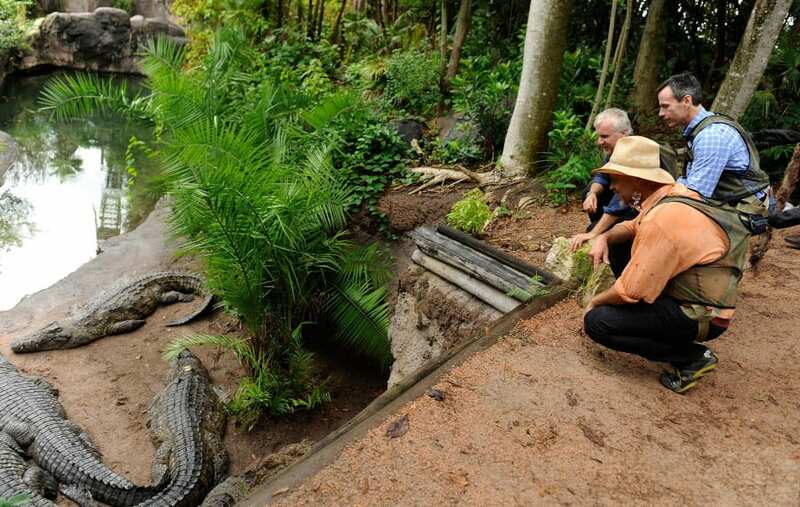 Rather than just adding minor attractions here and there, I’m really excited Disney is working on a major addition to really make Disney’s Animal Kingdom even better than ever. While waiting 3-4 years for a new attraction seems like a long time, I thought the same with the new Fantasyland and with the changes at Disney California Adventure, and they’re already here or just around the corner. O M G! The creative genius captured in that first picture is just stunning. That is a group of folks that I would have loved to have happened upon in the park. I can’t wait to experience Pandora! I am so excited about this collaboration. The only disappointment thus far is that we have to wait (alas, good things come to those who wait!). I’m especially heartened to see Cameron and Joe Rohde working so closely together. What Joe has done with Animal Kingdom, and now Aulani, is amazing. And of course Cameron’s reputation precedes him. Two great minds coming together…what a great future we have to look forward to at DAK! Can’t wait for opening day. I’m sure this will be an well themed and entertaining experience (as I have come to expect nothing less from Disney parks), but I can’t say I’m looking forward to it. I know I am in the vast minority, but I really hated that movie. I’ll give it a try when it’s finished, just because it’s Disney, but I don’t really have my hopes up. 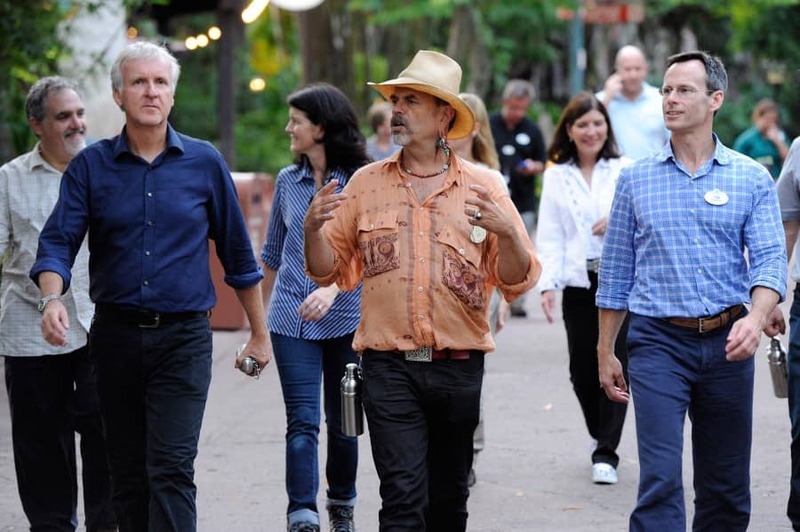 Oh, Joe Rohde, how I love your fashion sense! He is one of my favorite Imagineers. I suppose I better watch Avatar now, huh? I am giddy with excitement. I can’t even imagine what is going to come out of this partnership. I need to take a deep breath. Can’t wait until the countdown to Pandora begins!